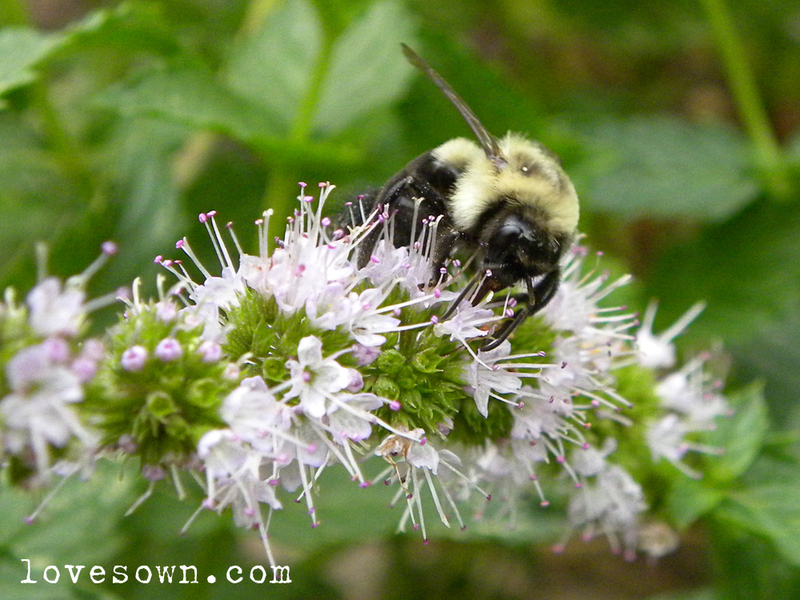 Maybe because it is overcast and actually looks like we might see rain, the bees have kicked it into high gear this morning buzzing around the mint and oregano blossoms. They are so busy that I can get my camera within inches of their fuzzy little bodies without them minding. Watching them has become one of my favorite activities. 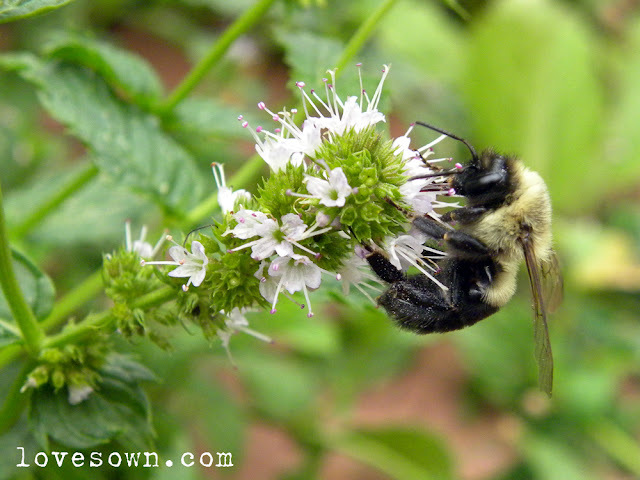 They climb around and up the mint blossoms, attacking it like my husband attacks an ear of corn at dinner. They aren't just collecting pollen but drinking the nectar from the blossoms as they go. The one sacrifice to sitting still enough to watch the bees is my legs - the mosquitoes love to eat them. I'm now covered in bites!